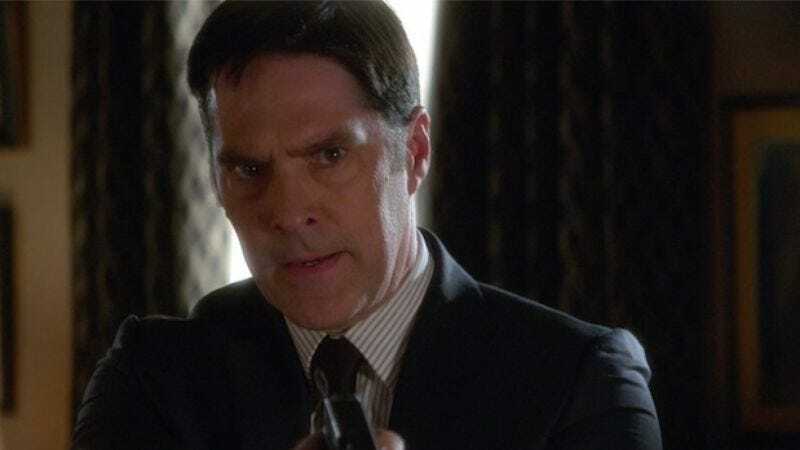 Earlier today, we reported that Criminal Minds star Thomas Gibson had been suspended from CBS’s long-running unsub hunt, after an altercation where he reportedly kicked a member of the show’s writing staff. Now it looks like the former -And Greg’s suspension is being made permanent, with Variety reporting that Gibson has been fired from the show. Gibson’s “Hotch” has been the series’ functional lead since its inception way back in 2005, when a decade-plus of unsubs, serial killers, and sweeps-induced spousal murders were just a twinkle in creator Jeff Davis’ eye. According to a press release about Gibson’s firing, “Creative details for how the character’s exit will be addressed in the show will be announced at a later date,” presumably as soon as the show’s producers figure out how the hell they’re getting out of the hole their former star has punted them into.